A critic's year-long deep-dive into the way movies portray one half of humanity. A saintly wife who stands by her screw-up of a husband. A girlfriend kidnapped in order to spur her boyfriend into rescuing her. A gorgeous dream girl who motivates an ordinary schmoe into climbing a mountain, making art or saving the world. Movies—from mainstream blockbusters to artsy indies to foreign-language imports—are dominated by stories about men, perhaps supported by female-shaped cardboard cutouts at their side. 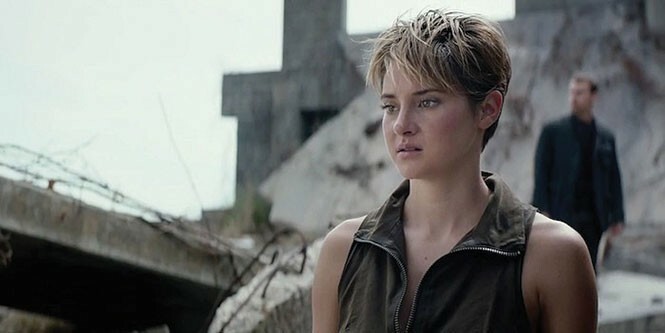 From January 2015 through April 2016, I applied these criteria to 295 films released in the U.S., Canada and the U.K. WATW scores ranged from a high of 50 for The Divergent Series: Insurgent (a well-rounded female protagonist; numerous female supporting characters in positions of authority) to a low of -120 for Scouts Guide to the Zombie Apocalypse (women regularly used as decorative objects; sexualized abuse of women played for comedic effect). Then, I looked more closely at every one of the 153 movies released wide in the U.S. between December 25, 2014, and December 18, 2015. Of those, only 22 percent had a female protagonist, or a predominantly female ensemble (e.g. Pitch Perfect 2). A further 15 percent had female and male co-protagonists, or an ensemble that was reasonably gender-mixed. That left 63 percent of films entirely focused on men. Now, a movie with a male protagonist can still represent women well, and similarly, a movie with a female protagonist can still depict women poorly, if it reduces them to stereotypes. But the median WATW score of these 153 movies was -13, meaning that mainstream movies are, overall, not very good at treating women like people. Only 31 percent of those 153 films earned a positive score. Now, invariably the first response that comes when you mention a poor showing of women onscreen is: "But Hollywood is a business! There'd be more movies about women if they made money!" But Where Are the Women? has proven that this nebulous notion—movies about women are risky financial prospects—is not the case at all. Rotten Tomatoes and Metacritic scores—aggregating reviews of critics across the web and around the world—indicate that critics are slightly more likely to rate a film highly if it represents women well. This may be because movies about men are so predominant and tell so many similar stories, that movies about women simply feel fresher. But as the industry stands now, critics are in general agreement that movies about women are more likely to be better movies than movies about men. The industry loves to trumpet a "fresh" score on Rotten Tomatoes for its new films, so Hollywood should be looking to boost those fresh scores by ensuring that its films represent women well. CinemaScores are generated via polls of U.S. multiplex audiences on opening night for new films in wide release; scores can range from A+ to F, but most fall in the A-to-C range. Comparing CinemaScores to WATW scores shows that mainstream moviegoers are just as likely to give a high rating to movies about women as they are to movies about men. Audiences are not turned off by women's stories—which contradicts the typical Hollywood "argument" that audiences do not respond to women's stories. We find much the same result when we compare global box office results to WATW scores: Filmgoers are just as happy to pay for a movie that treats women well as they are to pay for one that ignores women or treats women badly. Profitability is the factor that Hollywood-as-a-business supposedly cares about most, and it's the one with the strongest argument for making more movies about women. Movies about women have a median budget almost 24 percent less than the average budget of movies with male protagonists. Yet movies that represent women well are just as likely to turn a profit as movies that don't. Since movies about women cost less to produce and are just as likely to be profitable, movies about women are actually less risky, as business propositions, than movies about men. So, seriously, where are the women? If Hollywood really were primarily concerned with making money, we would have a movie environment overflowing with movies about women. We would be hearing men complain that they cannot find a movie that features people who look like them, and who share their concerns, worries and fantasies. And yet we see the exact opposite. Why? As the famous detective Ms. Shirley Holmes once said, when you eliminate the impossible, whatever remains, however improbable—Hollywood? Sexist? Never!—must be the truth.